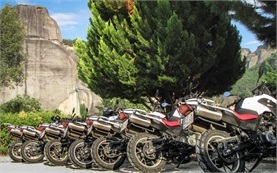 The Sredna Gora or "Central Highlands" stretch from the Pancherevo defile outside Sofia as far as Yambol on the Thracian plain, south of the the Balkan Range and the Valley of the Roses. With its forests of oak and beech and numerous caves and hot springs, the region was inhabited by humans as early as the 5th millennium BC. The Thracians left a hoard of gold treasure at Panagurishte, and the Romans a crop of ruins at Hisar, but for Bulgarians, the Sredna Gora is best known as the "land of the April Uprising", which started in Koprivshtitsa. For tourists too, these towns are the region's highlights and starting points for mountain hiking. 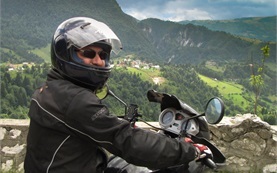 The Black Sea motorcycle tours will take you to the best of Bulgarian Riviera. Inhabited centuries ago (the earliest records date from 5th century BC), Bulgarian Black Sea coast is a magnet for hundreds of thousands of Bulgarians and foreign visitors every year. The welcoming climate from May to late September with average sea temperatures of 25C, in combination with the fine golden sand beaches, hot springs and mineral baths, have made Bulgarian sea resorts and holiday villages travel hit destinations in Europe. 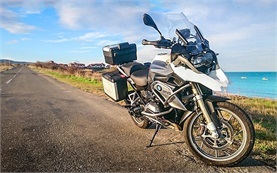 The Black Sea motorcycle tours include free ride along the seashore with stops in Golden Sands and Sunny Beach resorts, the ancient towns of Nessebar and Sozopol, the secluded beaches of Sinimorets and Kamen Briag.